Sure, I'm a knitter and crocheter, but I don't consider myself much of a crafter. Today, I'm sharing my attempt to use felt and glue on my Katrinkles Sheep ornament. If you are reading this post via email, you can check out the video here. 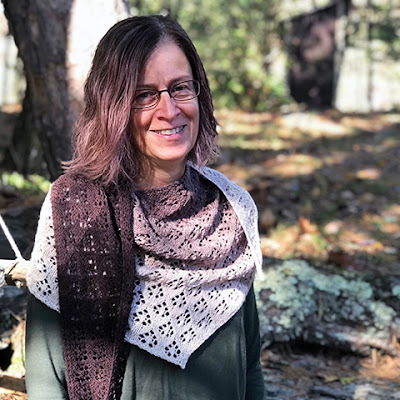 Eudicots is a sideways-knit asymmetrical shawl. So, if you enjoyed knitting some of my other patterns that use this construction (like Hogmanay and Milton), you'll enjoy this one too! 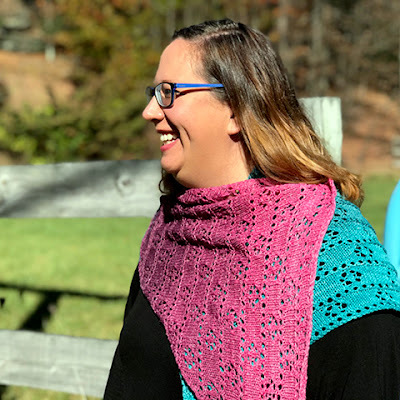 For this shawl I used a Fave Sock Gradient Yarn Set from fiberstory. I love the transition in this one. As always, the written instructions are included for the charts, as well as notes on how to change the size of your shawl if you like. Today, let's talk about yarn support. There are many perks to my job - I make my own schedule, I get to knit and crochet a lot, I don't always pay for the yarn that enters my house, the list goes on. But here's the thing about yarn support: just because it's "free" to me (as in I didn't give anyone money for it), doesn't mean it's free. It still costs the yarn company money. They have to make it and deal with all the associated costs that go along with that. When a company gives me yarn, they are expecting that I'll actually do something with it. So, I take my yarn support seriously. I don't take a lot of "free" yarn from yarn companies. When I attend TNNA, I don't come home with a suitcase full of yarn. There are a couple of companies that I have good relationships and they'll send me yarn to try or design with "if the mood strikes." However, most of the yarn I use for my self-publish designs, I purchase myself. The reason I do things this way is simple: I like having the freedom to create what I want, when I want. Sure, if I have a very specific idea in mind for a design, I'll go to a yarn company and discuss the possibility of yarn support. 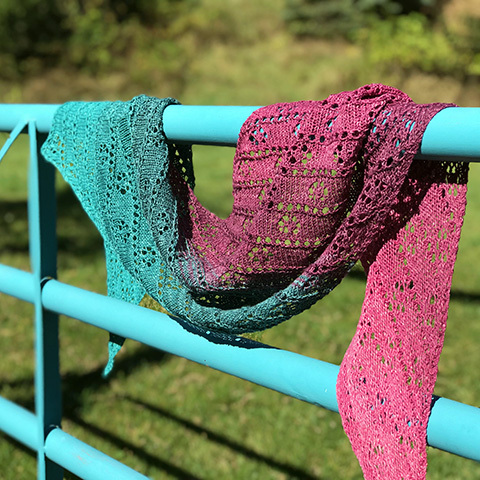 When I'm working on my books, I absolutely reach out to the yarn companies I love and want to work with and ask for yarn support for my book. 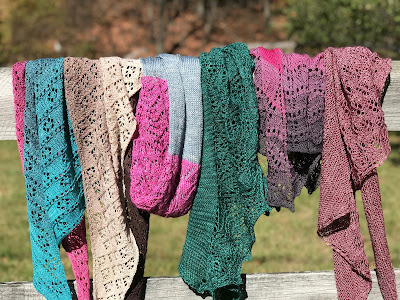 The truth is, I like shopping my yarn stash for yarns to design with when it comes to self-published designs. Before this was my job, it was my hobby. I still love buying yarn, although I do a lot less of that these days. 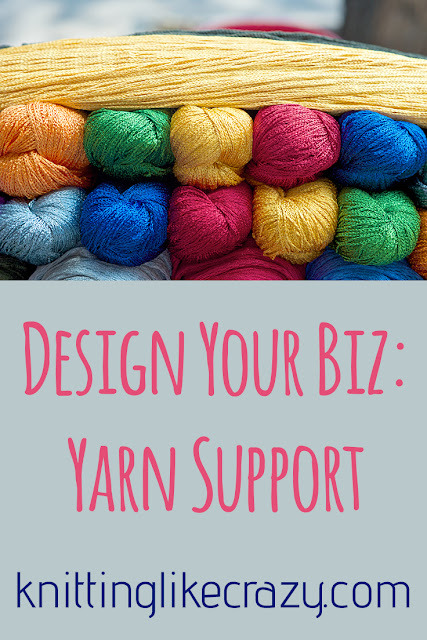 When I do buy yarn at events like New York Sheep & Wool, I do it with designing on the brain. 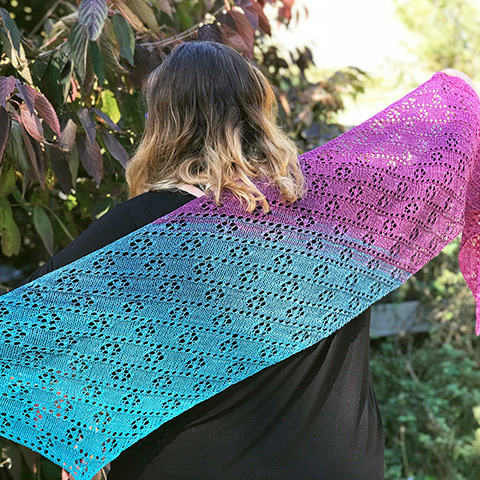 Maybe I buy two skeins of that yarn I love instead of one, because I know it will make an awesome shawl design when the time is right. 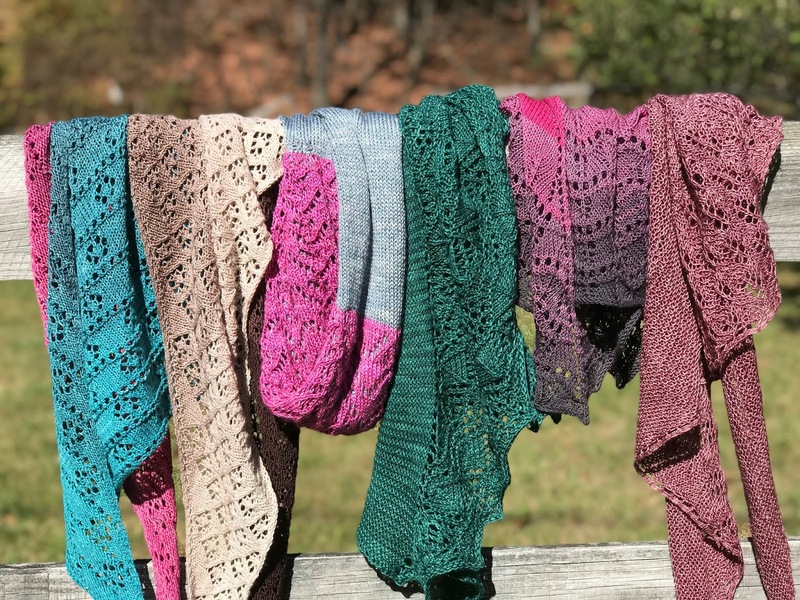 If you're a designer, I'd love to hear your opinions on yarn support. Like I always say, everyone navigates their way through this industry differently, and that's great! You know how it goes here. Sometimes I get ideas. Crazy weird design ideas. And then I design them into things. 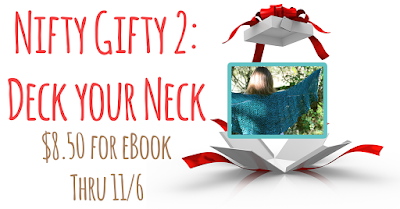 That's what happened with Pagoda, the fifth pattern in the Nifty Gifty 2 eBook. 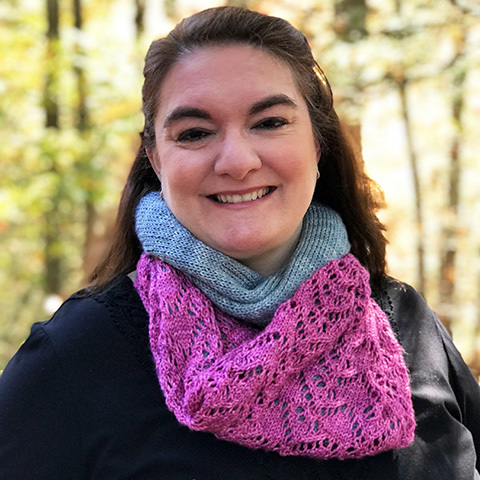 I love the Faro cowl that I designed for the original Nifty Gifty. It was super fun to knit in the round and Kitchener together at the end. I wanted to do the same thing, but incorporate lace into it. 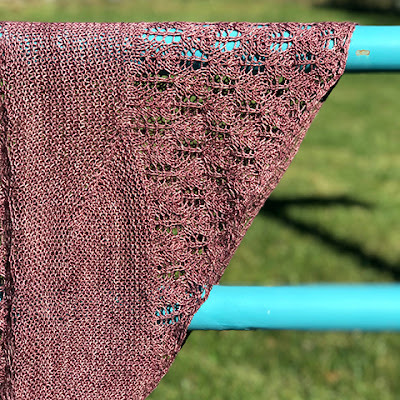 So, I got this idea I couldn't stop thinking about: I'd make a lace section but then knit a stockinette tube to go behind the lace, making it extra thick and adding an interesting detail. It took a little bit of work to get it right, but the effort was well worth it. Pagoda turned out beautifully. Pacifico is sideways knit-on-the-bias stole. I love using gradient yarns for things knit on the bias, it makes for cool transitions. I knit Pacifico out of a 600-yard ball of KnitCircus' Greatest of Ease yarn. 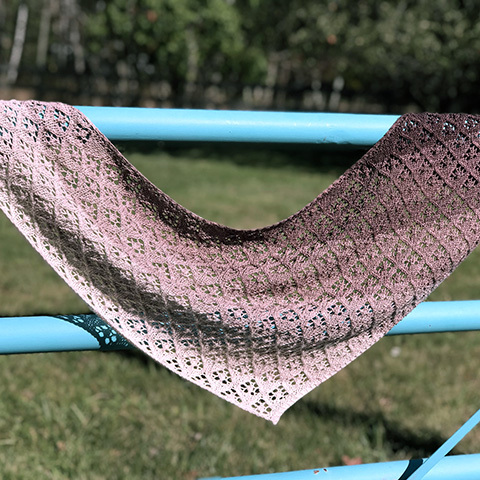 The beauty of this pattern is you can easily adjust the size of the piece, making it a great pattern for those beloved gradient yarns. You can pretty much knit until you're going to run out if you like! The stitch pattern is pretty easy on this one. It's a 12-row stitch repeat, you'll have it memorized in no time. And, as always, written instructions are included for the chart. Pacifico is the fourth pattern in the Nifty Gifty 2 eBook. Just two more patterns to go! Yeah, so I thought I was on a sock knitting kick. I've barely made any progress since the last time I blogged about these socks a couple weeks ago. I'm still hoping to have these socks done for Christmas. My nephew has mentioned wanting socks or slippers from me for years. It's time to deliver. I'm just about done with my gigantic project (a new book!) and then I'll have a little time for sock knitting. Plus, it's been awhile since I've had deadline gift knitting in my life. It's kind of nice! About a year ago, I talked about Ravelry ads that work. 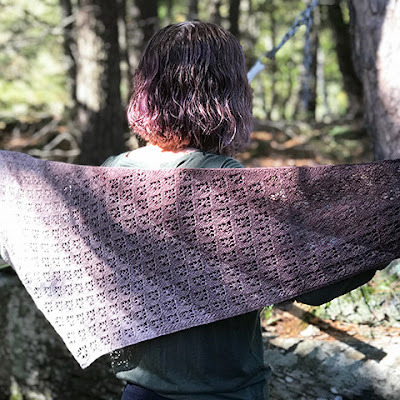 While I still think Ravelry is a great way to advertise, today I thought I'd discuss other ways I've advertised my work - by using sponsored posts on Facebook. Ahhh, social media. I have a complete love/hate relationship with it. 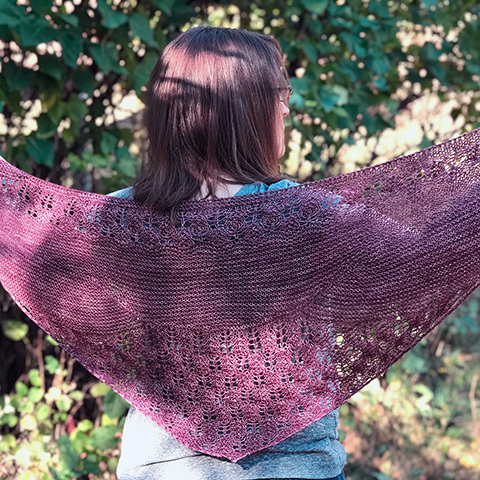 On the one hand, I love connecting with my customers and being able to show them my new pattern or what I'm working on. I enjoy that we get to interact throughout the day about a craft we're all so passionate about. On the other hand, it's easy to feel lost in a sea of knitwear designers online. With algorithms changing on social media sites all the time, how do you get your stuff (especially the new stuff) in front of your people? Sure, consistency is super key. But I've also found that by occasionally sponsoring my posts, it can help get the word out that my new pattern has arrived! I hate to say this, because it seems so obvious/stupid, but experimenting is the key to the social media game (whether you are using paid advertising or not). Using the top photo, I might get 3-4 times the audience reach for the same amount of money. What I like about advertising on social media that it's very easy to create your target audience and you can set your budget for whatever you want. Also, on Facebook, you can also go back and edit your photo, so if it's not working, you can change it and keep going. 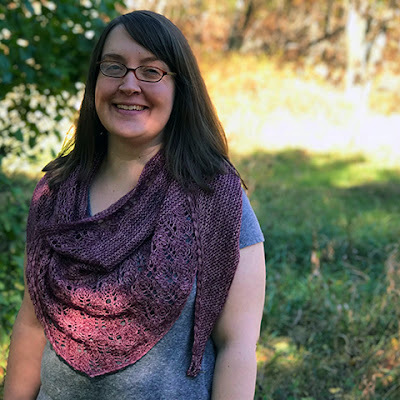 For me, if I'm advertising outside of Ravelry, Facebook is where I've had the most success, so that's where I go. As far as Instagram and even Pinterest, honestly, I've had zero success thus far when it comes to sponsoring posts. If you're a designer who has successfully advertised on these sites, I'd love to hear your experiences and what worked for you! The bottom line is Ravelry advertising (for me, anyway) is the best deal and the easiest way to get your new patterns in front of the people who may want to make them. The rest of it is just one big experiment! Want to read more about advertising as a designer? Check out this blog post on the Stitch Sprouts blog. This shawl is a different construction from anything I've done before. It's a bottom-up triangle, that uses short rows in the garter stitch sections to make its shape. 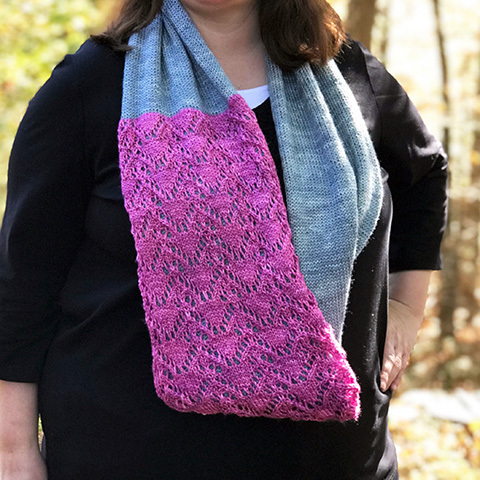 It was so super fun to design and knit! 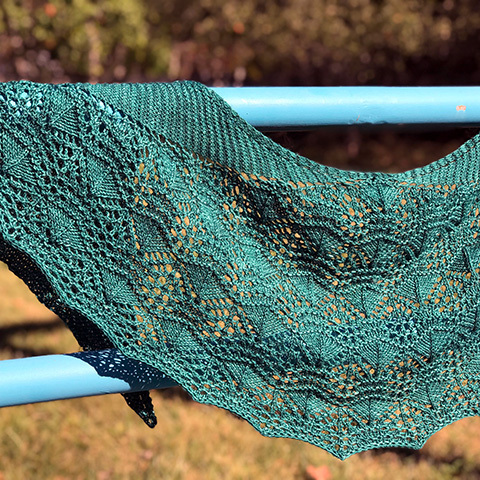 The lace is lovely and leafy - leaf lace patterns are among my favorite. I adore that they are delicate and geometric all at the same time. I knit Boneset out of Leading Men Fiber Arts Diva yarn. It's a wool/silk blend that comes in a generous 600 yard skein. I need a hundred more shawls made in this yarn. 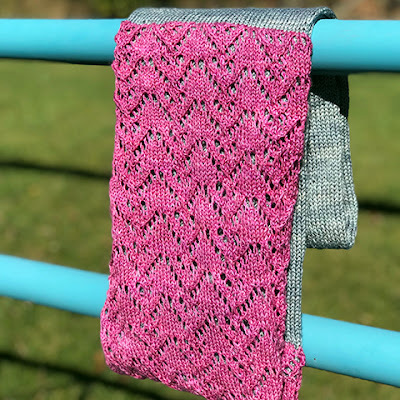 Next week Tuesday I'll have another new pattern in the eBook - featuring another gradient yarn. If you haven't picked up the eBook, now's the time. The price will go up by $1 on the 21st! For years (no really, YEARS), I've been considering a YouTube channel or knitting podcast. But I was kind of scared. I'm a super introvert, I wasn't sure it was going to be for me. But, after watching a recent CreativeLive class from Tara Swiger, I decided to dive in and just go for it! My new YouTube channel is Yarn Purpose! Every week I'm posting new videos. There are already a few up there, with more coming each week on Friday mornings. I'll be doing all sorts of videos - from hauls and unboxings, tutorial videos, and chats about what I'm working on. I think this is going to be a fun new adventure for me, and I hope you'll go along for the ride and subscribe!